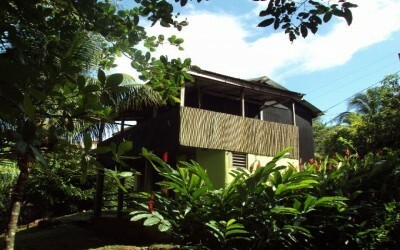 The Riverside View House is located in the village of Calibishie. 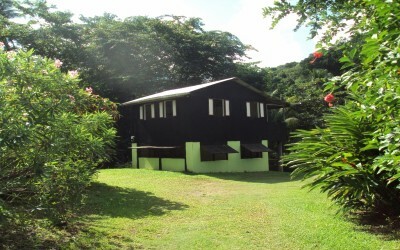 Calibishie is a beautiful village on the north-east coast of Dominica and is situated by the sea. It is around 15 minutes away from Melvillehall airport and around 25 minutes from Portsmouth. You will find some of the most beautiful beaches and other sites in the surrounding of the village. 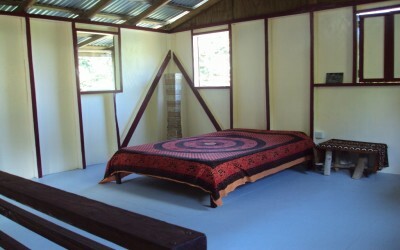 Please check our photo gallery about Calibishie. 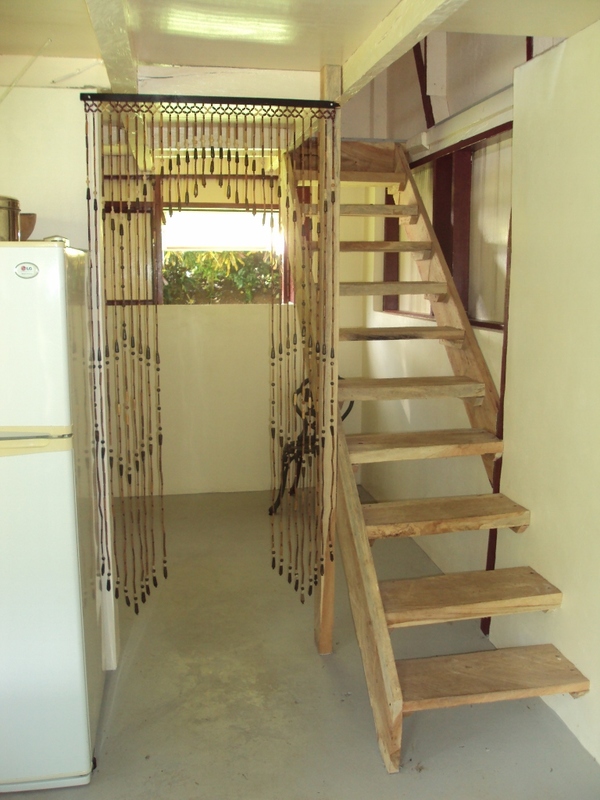 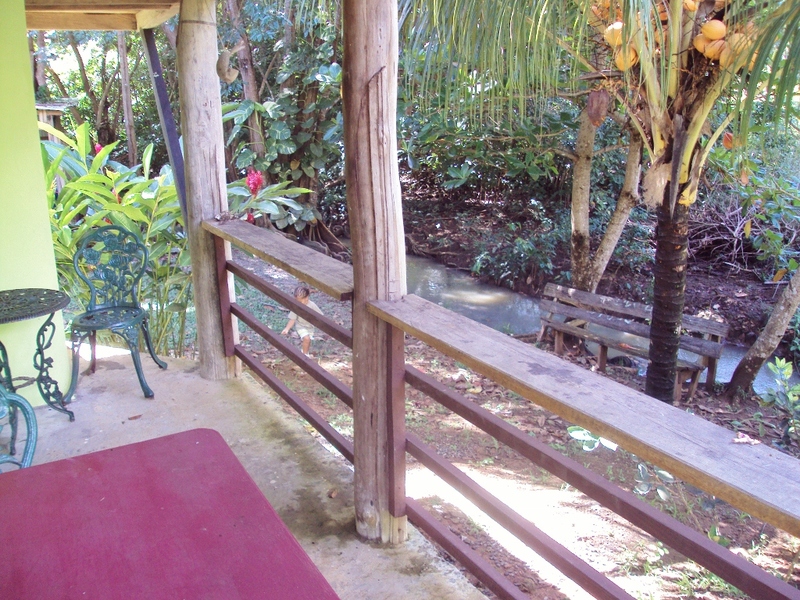 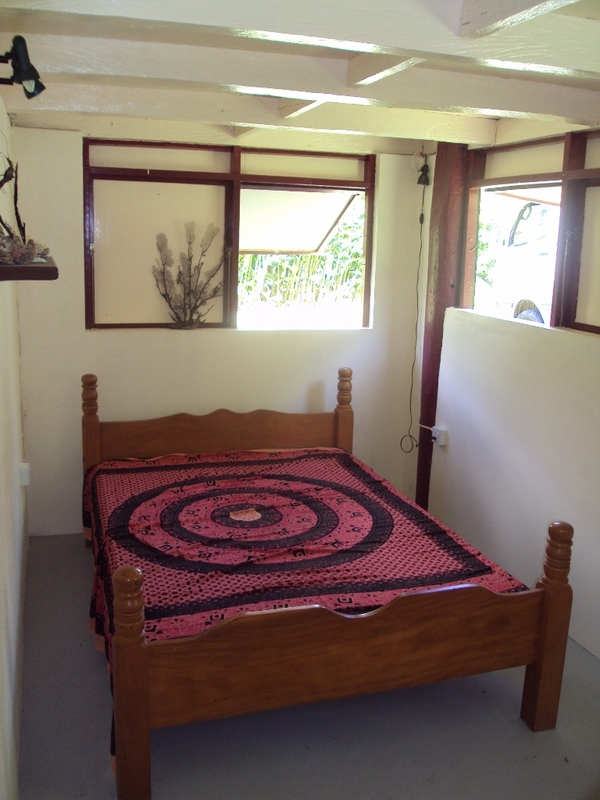 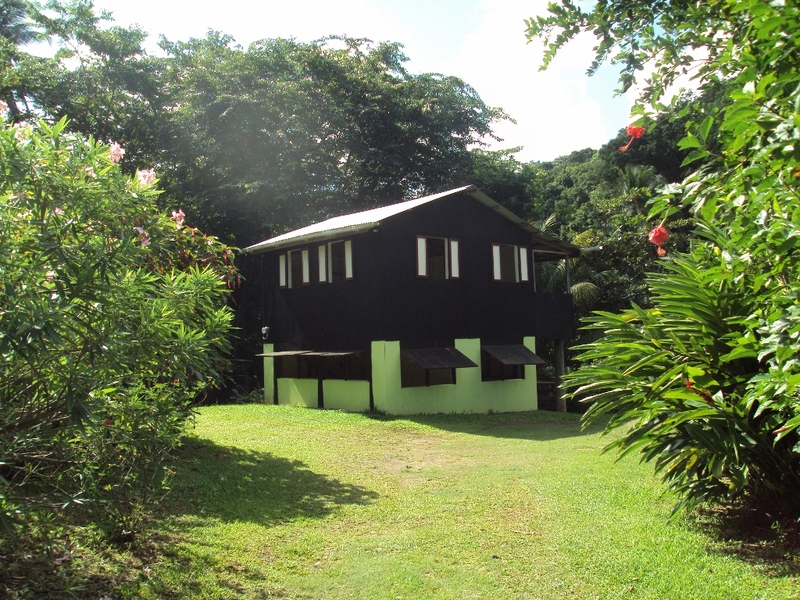 The Riverside View House is located on a peaceful and quiet property, beside a little stream, surrounded by tropical flowers, but just 100 m from the center of Calibishie. 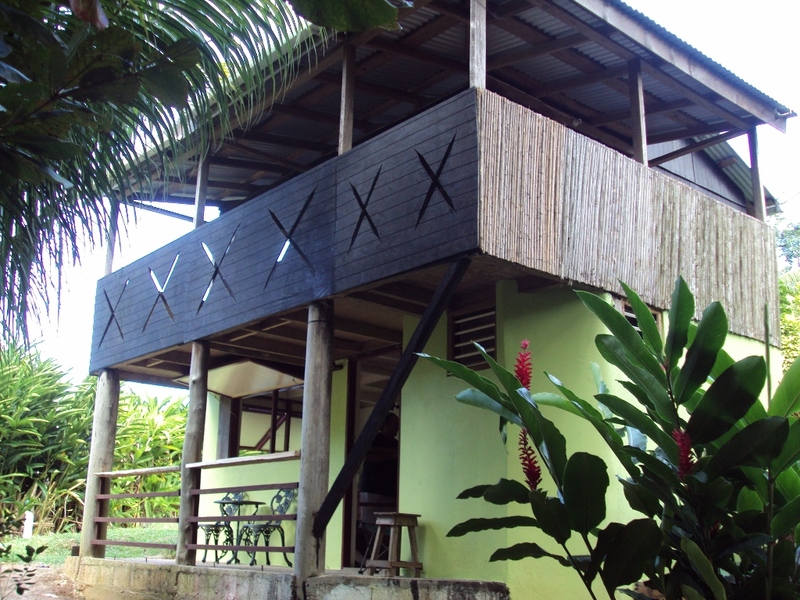 It includes a bathroom/toilet, one bedroom and the kitchen, with a patio downstairs and another bedroom with a bigger balcony upstairs. 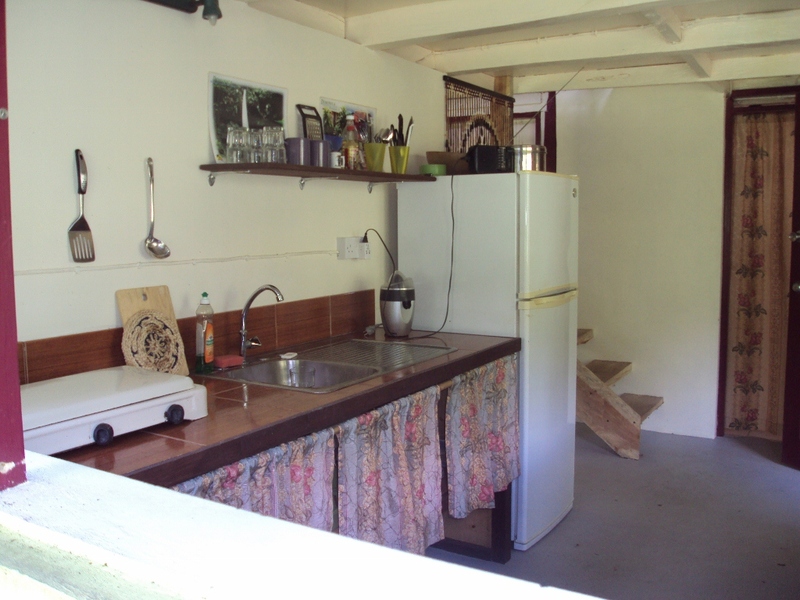 The kitchen is fully equipped and there is a supermarket in about 2 walking-minutes from the house. There is also several restaurants close by which offer breakfast, lunch and dinner.